Jane Goodall, speaking in 2002, on what separates us from the apes. She began her talk discussing the struggle of indigenous peoples in Ecuador to stop oil companies from destroying the rainforest they depend upon. Then, as she typically does, she describes her calling to bring the voices of non-human beings into human councils. This is the video that John Boswell sampled in one of his Symphony of Science videos. Gary Snyder, interview exploring ecology and poetry, and reading organicist Gaian poetry (with an introduction mentioning Lovelock's Gaia hypothesis). Barbara King is an anthropology professor specializng in primatology and ethology. Her books, ans reflections in this short utube video, provide another example of how the study of animal consciousness and emotions can contibute to kinship ethics toward non-human organisms while becoming also a tributary for dark green spirituality. Dana Lyon’s song, The Tree, was discussed on pp. 27-28. For his written account of the experience this song was based on, see Tree Music. More music by Lyons is found in his cows with guns website, provides access to additional music including that on an album to which Jane Goodall contributed, telling stories between the songs. Marc Bekoff interview, which illustrates the way ethology (the study of animal consciousness and behavior) shapes animistic perception for some scientists. Dana Lyon's song the Tree was also made into a children's book; here are some images, which are downloadable as a powerpoint presentation. Par. 2, on ‘worldview’: The term was coined in German originally in the 19th century as “weltanschauung” by Wilhelm Dilthey, ed., Dilthey's Philosophy of Existence: Introduction to Weltanschauungslehre (Westport, CT: Greenwood Press, 1978). It was and developed and made more sophisticated and useful for cross-cultural comparison by more than a century later, including by Ninian Smart, Dimensions of the Sacred: An Anatomy of the World's Beliefs (Berkeley, CA: University of California Press, 1966), Ninian Smart, Worldviews: Crosscultural Explorations of Human Beliefs (3rd Edition) (Upper Saddle River, NJ: Prentice Hall, 2000). The notion places a premium for understanding religion on apprehending beliefs, especially religious/metaphysical and ethical ones, and leads some scholars to pay insufficient attention to how systems of meaning and religious identities are enacted. Smart himself, however, linked such beliefs to other important dimensions of religious life, including its experiential, organizational, artistic, ritual, and political expressions. Par. 2, on ideal types: It is important to remember that, with any typology, “map is not territory,” because the boundaries between them are fluid and fuzzy. The key question with regard to them is their utility: Do they have explanatory and heuristic power? The expression “map is not the territory” was coined by Eric Bell and popularized by Alfred Korzybski, and borrowed by J.Z. Smith as the title of his important book, Jonathan Z. Smith, Map Is Not Territory: Studies in the History of Religions (Chicago, Illinois: University of Chicago Press, 1978). Par. 2, more on Snyder: Bron Taylor, "Snyder, Gary–and the Invention of Bioregional Spirituality and Politics," and also "Bioregionalism and the North American Bioregional Congress", which Snyder helped to inspire, both in the Encyclopedia of Religion and Nature. Par. 2, Joanna Macy and John Seed, biographical references:Craig S. Strobel, "Macy, Joanna," 1019-20, Bron Taylor, “Seed, John,” 1513-1514, Encyclopedia of Religion and Nature. Par. 5, kinship feelings among those who study animal consciousness:For another example by one of the pioneers of this field of study, see Donald R. Griffin, Animal Minds: Beyond Cognition to Consciousness (Chicago: University of Chicago Press, 2001). Par. 2, on Goodall and Bekoff’s collaborations: Jane Goodall and Marc Bekoff, The Ten Trusts: What We Must Do to Care for the Animals We Love (San Francisco: Harper San Francisco, 2003). Goodall wrote the forward to Bekoff’s Minding Animals: Awareness, Emotions, and Heart, and Emotional Lives of Animals. Par. 3, for more of Goodall’s reflections on chimpanzee spirituality: Jane Goodall, "Primate Spirituality," in Encyclopedia of Religion and Nature, 1303. Par. 1, Thomas Berry, key references: The Sacred Universe (New York: Columbia University Press, 2009), The Dream of the Earth (San Francisco: Sierra Club Books, 1988), The Great Work (New York: Bell Tower, 1999), Brian Swimme and Thomas Berry, The Universe Story: From the Primordial Flaring Forth to the Ecozoic Era: A Celebration of the Unfolding of the Cosmos (San Francisco: Harper Collins, 1992). Par. 2, For a story about this trip to the forest see David Quammen, "Jane in the Forest Again," National Geographic (online, no longer available), April 2003. For more about this forest and how it came to be protected, see David Quammen, The Long Follow: J. Michael Fay's Epic Trek across the Last Great Forests of Central Africa (Washington, DC: National Geographic, 2006). The Goualougo Triangle is in the northeastern corner of the Republic of the Congo. Par. 4, more on animal oracles:The anthropologist Robin Wright, when reading a draft of this chapter, reminded me of the Andaman Islanders who, after a massive earthquake off of Indonesia precipitated a tsunami, “were the first to flee to the hilltops because the behavior of the sea animals was giving a signal that the waves were coming.” This was a kind of naturalistic oracle based on the Islanders deep knowledge of animal behavior. Par. 5, on Goodall’s religious eclecticism: In addition to Christianity, Goodall was familiar with and drawn to Theosophy, including its belief in reincarnation, as a teenager, which may help account for her receptivity to the spirituality of animals and the earth itself. [Reason for Hope, 32-34.] During my interview with her she spoke similarly about Theosophy, which suggested to me that it influenced her openness to spiritual experience and resistance to scientific reductionism. Par. 8, further evidence of Leopold’s biocentrism/ecocentrism:Other passages make clear the intrinsic value theory Leopold is promoting, including, “We have not land ethic yet, but we have at least drawn nearer to the point of admitting that birds should continue as a matter of biotic right, regardless of the presence or absence of economic advantage to us.” Leopold,Sand County, 210-11, also in Leopold, Sand County with Round River, 247. See also his assertion that the same point applies to “predatory mammals, raptorial birds, and fish-eating birds” (211 & 247, respectively) and even non-useful ecosystems (212 & 249, respectively). While Leopold was pragmatic such passages leave little doubt that his deepest ethical convictions were ecocentric, despite the efforts of the some environmental philosophers to paint him as an environmental pragmatist, as did Bryan G. Norton in Sustainability: A Philosophy of Adaptive Ecosystem Management (Chicago: University of Chicago Press, 2005). Par. 5., more examples of Gaian Naturalism: J. Baird Callicott, "Natural History as Natural Religion," in Encyclopedia of Religion and Nature, ed. Bron Taylor (London & New York: Continuum International, 2005). Of course, such spirituality is not entirely new, as shown in Ursulla Goodenough, "Religious Naturalism," in Encyclopedia of Religion and Nature, ed. Bron Taylor (London & New York: Continuum International, 2005), 1371-73. See also her book, Ursula Goodenough, The Sacred Depths of Nature (New York & Oxford: Oxford University Press, 1998). For examples that sometimes flirt with theism, see Loyal Rue, "Epic of Evolution," in Encyclopedia of Religion and Nature, ed. Bron Taylor (London & New York: Continuum International, 2005), Loyal Rue, Everybody's Story: Wising up to the Epic of Evolution (Albany, New York: State University of New York Press, 2000), and Swimme and Berry, Universe Story. See also Robert S. Corrington, "Deep Pantheism," Journal for the Study of Religion, Nature and Culture 1, no. 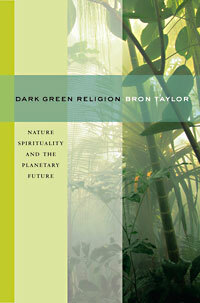 4 (2007), Donald Crosby, "A Case for Religion of Nature," Journal for the Study of Religion, Nature and Culture 1, no. 4 (2007), Donald Crosby, "Further Contributions to the Dialogue," Journal for the Study of Religion, Nature and Culture 1, no. 4 (2007). Par. 5., reference exemplifying Lovelock’s environmental advocacy: James Lovelock, Healing Gaia: Practical Medicine for the Planet (New York: Harmony, 1991).